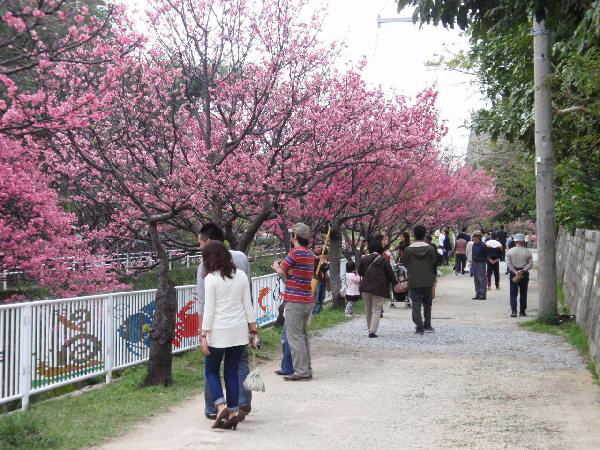 Located within walking distance of Kokusai Street, Yogi Park is the place to enjoy cherry blossoms in Naha. In spite of the central location, the park features a tranquil, natural setting with about 400 cherry trees lining the walkway and giant banyan and palm trees growing throughout the park. There is a preserved D51-type steam locomotive displayed in the park.